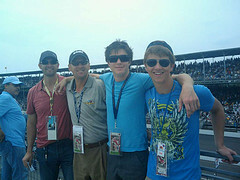 Every Memorial Day Weekend, there is The Biggest Spectacle in Motorsports-The Indy 500. 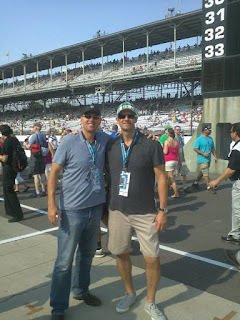 Here a 2012 trip report: The 96th Indianapolis 500- the best way to convert money into noise---was fast paced with lots of lead changes and drivers dabbling in and out of the boundaries of disaster. There’s no secret to ovals. You just press the accelerator to the floor and steer left. The drivers who think the brakes are for stopping usually don't win. 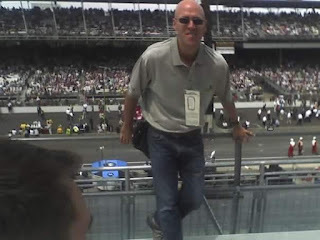 As Mario Andretti said, "“If everything seems under control, you're just not going fast enough.” These open wheel drivers are like fighter pilots, flying in a gymnasium. The crashes fans remember, but drivers remember the near misses, but nobody remembers who finished second but the guy who finished second. 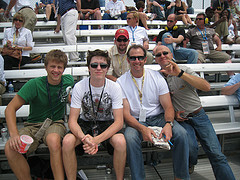 For the record, New Zealand's Scott Dixon was runner-up this time. 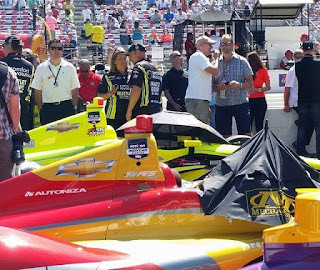 The weather was hot in America's Midwest after an emotional tribute to last year's winner Dan Wheldon, the popular Englishman whose thrill of speed overcame the fear of death and in fact, actually died horrific crash in Las Vegas in October.